to be happy again in a new way on the earth! into the branches and the grass below." Right before we enter the gardens of Kurkdjian, let me talk about the flacon a little more. It is made of heavy and thick glass and ornamented by gold letters in contrast. It feels luxurious and feminine but casual and urban. The fabric used as a ribbon is Thomas Burberry's gabardine and signed by the words "Woven in England". 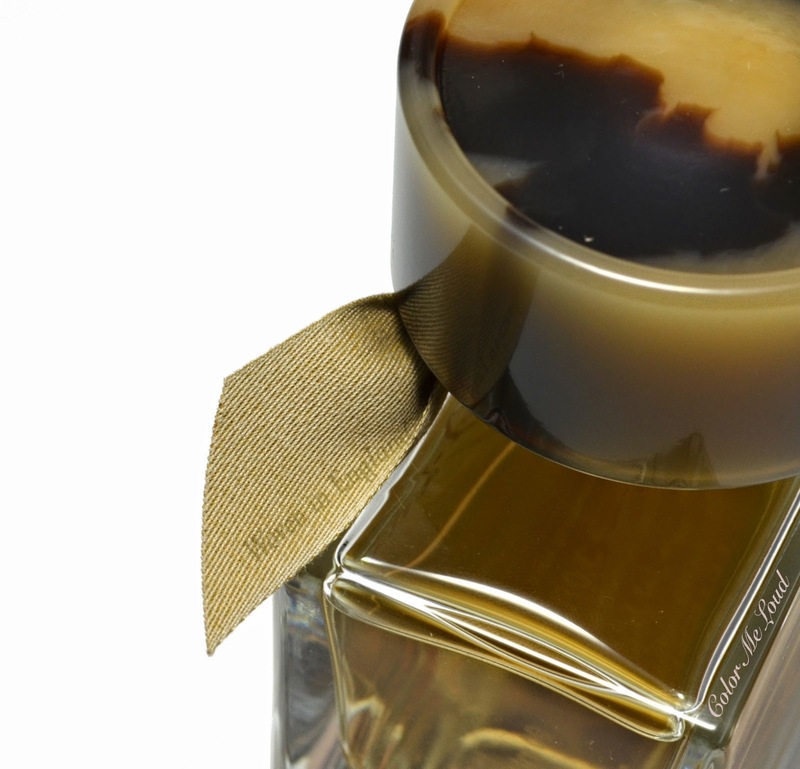 The stopper is inspired by the button of trench coats, each bottle has a unique pattern on it. Once I hold this bottle in my hand, I can't stop but admire the details. Right after I spray the fragrance onto my skin, it pronounces itself as a care-free fresh floral bouquet. I can't sense bergamot on me, other than the feel of freshness it provides. As the heart of the bouquet starts appearing, geranium leaves naturalizes the femininity into a low key pleasant scent, like a breeze bringing the best of the garden to your nostrils. At this stage, despite being slightly fruity, it must be the quince, it never appears light hearted. As the patchouli brings the scent of earth into the garden, we know why the fragrance is told to represent a garden after rain. It is just right amount of patchouli on me to balance out the femininity of the flowers. After a few hours, roses start taking over the bouquet with their elegant presence. These are the old garden roses such as Damask and Centifolia with certainly an urban feel to it as patchouli lingers. My Burberry is very long lasting on me (over 12 hours), has a pleasantly moderate sillage which makes it a great day/office scent. As the flowers never become too rich and it is well-blended, I would feel confident in recommending it also for those of you whose first choice are not flowery scents. For winter, I opt for warmer scents, but I can see myself wearing My Burberry in fall as a spirit lifter and also during spring and even into summer. 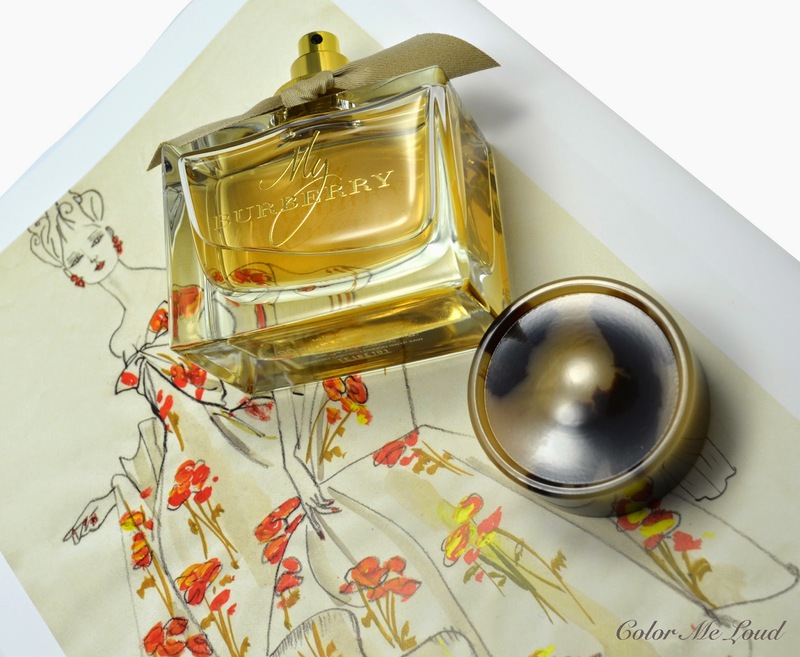 Final thoughts: My Burberry is an urban chic floral which pronounces a femininity with a touch of masculinity. It is understatedly beautiful, modern and well made. Its luxury is hidden in details. Be sure to pay a visit to your counter to join the experience. 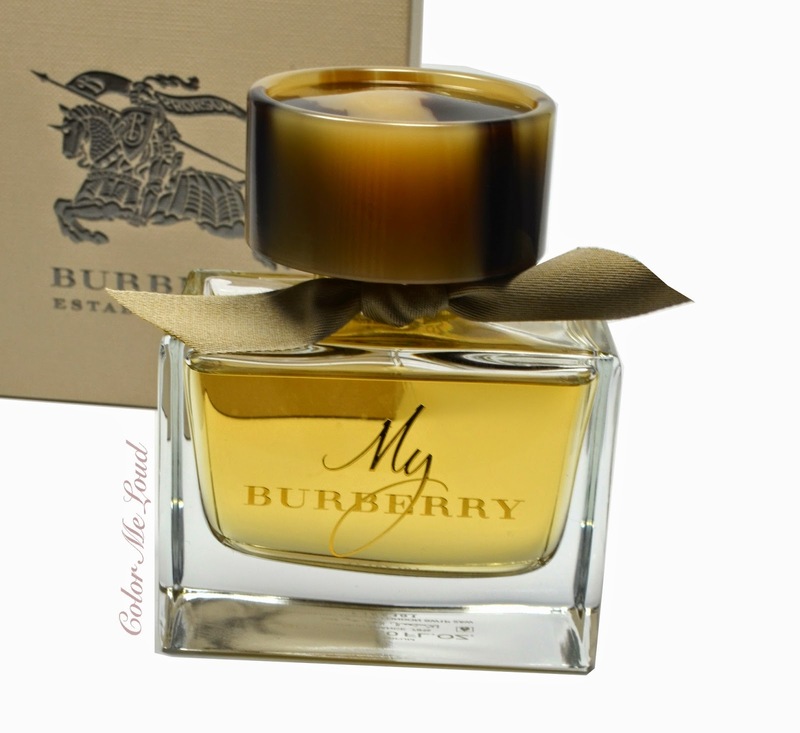 Availability/Price: My Burberry is now available around the globe, priced as 90 ml (118 €), 50 ml (82 €), 30 ml (55 €). If you can't get enough of it, you can even order a 900 ml from burberry online shop. Have you tried My Burberry yet? Do you like florals? I'm not a huge fan of floral scents. The Rose Centifolia turns me down a bit. I love scipy/wood-y or citric scents. Yet the fact that you say that this has a hint of masculinity makes me real curious about. I enjoy patchouli when well balanced or tamed down with notes of freshmess, like in this case. Loved your review about it. Hopefully I will be able of gettimg my nose in a sample of it. Hi Andrea, the roses in this one are nothing old fashioned. They are rather quiet. I am also a woody or spicy fragrance lover, but I really like this one, to the point that it started getting a little obsessive. It is something that grew on me. I think you need a decant before you decide. I hope you can find a sample. I got a sample amd gotta tell you was instant love! Oh my! It does have some masculine scent yo it, and like you said, not old fadhioned roses. A true beauty. So much so, that just ordered the full size. I have been on the qiest for a new scent and was going yo get the TF Velvet Orchid, but this won me over instantly. So thank you for your review. You were right point by point. Vielen Dank. Ich schätze deine Meinung sehr und bin froh dass es dir gefallen hat. Hmmm....interesting. I love floral scents so I guess I will try samples of this and see if it will suit my taste with perfumes. if you love florals, you are in luck! Hi Linda. This one offers some contrasts for sure, as you mentioned, cap and the golden parts, they are very contrasting. The scent itself is also like floral but then there is some earthy notes which balance it out so that it is not too floral, like the package is not too feminine. From the first whiff of the fragrance strip to actually trying it on, I found this to be a very straight forward floral; not nearly as complex as all the marketing hype would have you believe. Although references to iconic trench coats and rain abound in the marketing spiel, I'm just not getting any of that in this fragrance--nothing masculine, nothing earthy; just flowers galore. 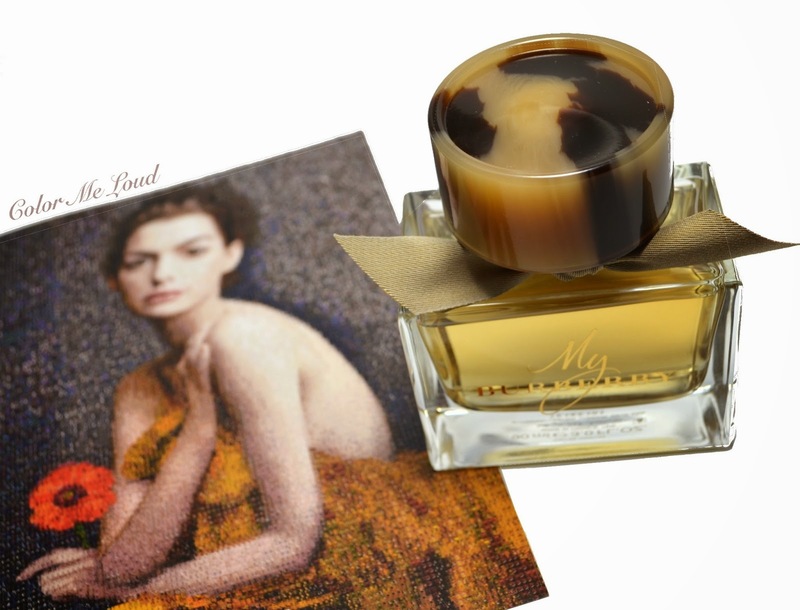 It's a very pretty fragrance to be sure and I wouldn't hesitate to lightly mist it on when I want an unobtrusive, feminine floral that is reminiscent of springtime gardens. I think once all the marketing hoopla associated with the launch is over and done, people will appreciate My Burberry as the pleasantly simple floral that it is. thanks so much for stopping by. I am always very glad when you do. I am always amazed by the knowledge and experince you reflect in your comments. For each newly released fragrance, there is some marketing blah going on, that is for sure. I didn't even wrote about two english models showering themselves with perfume half naked because it doesn't interest me really. What interests me is the perfume. Different notes are pronounced differently on everyone and this one has certainly a masculine quality on me, which I really like. It is a floral though, you are right, nothing else than a floral, which might please others which are not too much into florals, like myself ;-) And yes, definitely reminds me of spring!